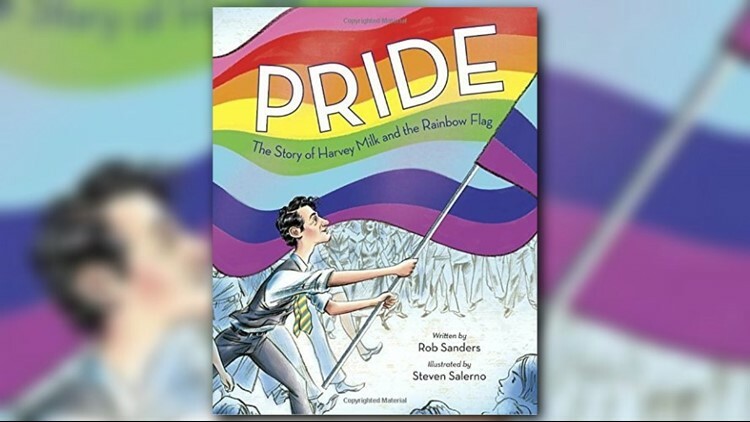 A newly released children's book tells the story of gay politician Harvey Milk and his efforts to fight for equality for the LGBTQ+ community, while also offering kids the chance to learn about the creation of the Pride flag. A newly released children’s book tells the story of gay politician Harvey Milk and his efforts to fight for equality for the LGBTQ+ community, while also offering kids the chance to learn about the creation of the Pride flag. 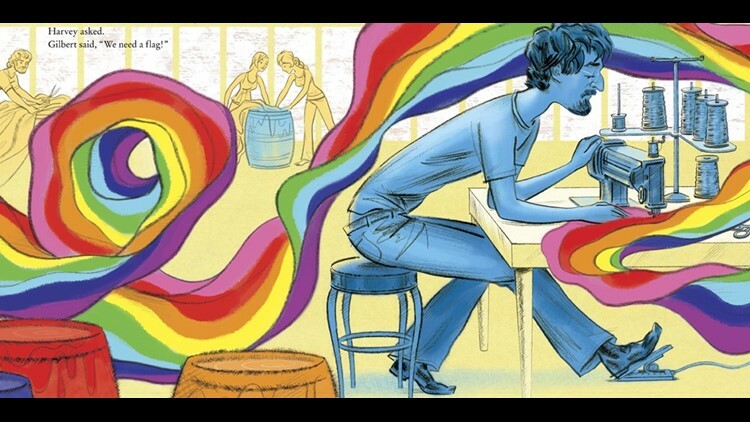 "Pride: The Story of Harvey Milk and the Rainbow Flag" was written by Rob Sanders and illustrated by Steven Salerno. The book hit shelves in April and focuses on gay politician Harvey Milk and his efforts to bring equality for his community in 1970s San Francisco. The book introduces Milk as an activist who wants equal rights for gay people, fighting opposition from many in his mission. It also shows how Milk became the first openly gay person elected to political office in the United States and how he aimed to help change society through the creation of new laws. But the main story this book tells is the creation of the Pride flag, which has become an international symbol for the LGBTQ+ community. The release of the book actually comes on the heels of the 40th anniversary of the introduction of the Rainbow Pride flag during the 1978 Pride march in San Francisco. The book does touch upon Milk’s assassination but does so appropriately for its audience. 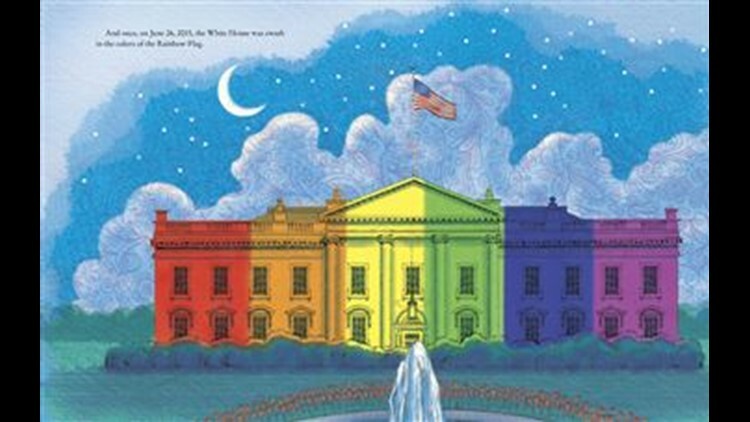 "Pride" is a great book for young kids who are just learning to read, but the best part about this book are the illustrations by Salerno, who beautifully uses vibrant colors in each page. Salerno spoke to First Coast News about his experience working on this book, stating that the overall message of the book for kids is that "one person can change things." He believes this will be a book that many libraries across the country will feel compelled to have a copy of for its young readers. "Young readers will be provided with an inspirational universal example of how the energy and focus of people acting together can actually make positive changes in society in the face of unjust laws and attitudes," Salerno told First Coast News. The illustrator's process for creating the pages was a bit tedious and time-consuming, Salerno said, stating that he received the text for the story and was tasked with interpreting the artwork that would be on each page. He had to do numerous hours of research since it was a nonfiction book, finding photos of Milk and important pieces relating to the subject matter. Salerno said it took about two months to create the initial sketches and then another four to five months to finish the illustrations in color. He created many of the pages by drawing a variety of small parts for each page, then uploading them into Adobe Photoshop to add color, position drawings and create final copies of the pages. If you take the first page, for instance, readers see Harvey Milk lying in some grass. Salerno had to draw Milk separately and each paisley of grass and upload individually to place in a Photoshop file to color and fine-tune each page. The illustrator told First Coast News one of the most difficult tasks in drawing images for this book were the large crowd scenes, due to the intense level of detail required to properly depict the scenes. Salerno has illustrated 30 picture books, five of which he was both author and illustrator. This year, he released "Tim's Goodbye" and will have his next book, "PASS GO And Collect $200 - The Real Story of How MONOPOLY was Invented" will be released in July. Find out more about Steven Salerno's work here. At the end of this "Pride," readers will find a timeline of Harvey Milk’s life, as well as one for the Rainbow flag. The book also includes recommendations for other books for young readers with similar subject matter. You can order "Pride: The Story of Harvey Milk and the Rainbow Flag" on Amazon. 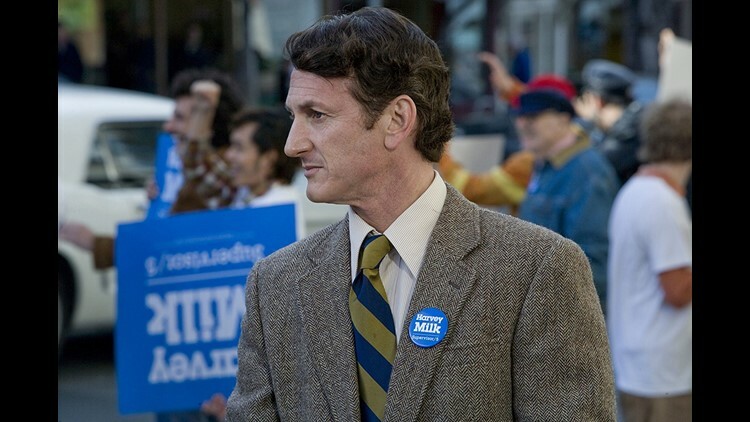 Harvey Milk’s life and legacy were portrayed in the 2008 film, "Milk," starring Sean Penn as the gay icon. The film won two Academy Awards, one for Penn’s acting portrayal of Milk, as well as one for Best Original Screenplay. "Milk" is available to stream on Netflix now. If you’re interested in donating to the Harvey Milk Foundation, you can do so here. Tyler White is a digital reporter/producer for First Coast News. You can follow Tyler on Twitter at @tylerlwhite or email him at twhite@firstcoastnews.com.